The man with possibly the best job in the world is heading to the Midlands Art Centre in Birmingham on May 26, 2018. Ian Burrell is the Global Rum Ambassador and he will be hosting the MAC's Rum Night from 8pm. Ian is one of the most travelled and acclaimed figures within the rum industry, conducting masterclasses, seminars, and judging competitions on all seven continents. He is the rum and cocktail specialist on Channel 4's Sunday Brunch and the creator of the world's first international rum festival, UK RumFest. London-born Ian's rum career began when he took a year off from school to work in a cocktail bar, with the brief to create 'new and exciting cocktails'. The job brought him into contact with drinks company J Wray & Nephew, who made him the first Rum Brand Ambassador in the UK. His role was to create rum cocktails for their clients and tell the story of rum. He also found time to co-present two TV shows on ITV, perform on stages around the world as a rapper and play professional basketball in the British Basketball league. Today he acts as a consultant to many rum companies, helping with promotional strategies, marketing and creating new brands. At the MAC's Rum Night he will guide guests through the world of rum, sharing his knowledge, as well as a selection of world-class varieties of the tropical, sugar-cane tipple. He is well known for his witty chat – he has many tales to tell including how, in 2013, he became the first person to set up a rum shack in Antarctica. Ticketholders will receive five free rum tastings as part of the evening. 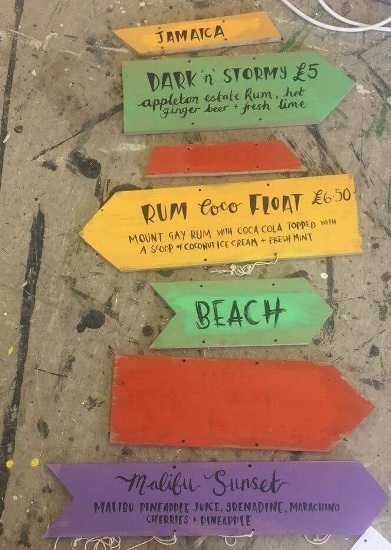 For guests who have a thirst for more, there will be special rum cocktails for sale in a pop-up rum shack. BARBADOS – Rum Coco Float (Mount Gay rum with coca-cola, topped with a scoop of coconut ice cream, coconut shavings and fresh mint). Tickets are £17 and £15 – and it's over-18s only.